St. Paul’s Iron Ranger is a continuation of a family business that got its start in Northern Minnesota over a century ago. There’s a little neighborhood pub along St. Paul’s Grand Avenue jam-packed with big flavors from up north. 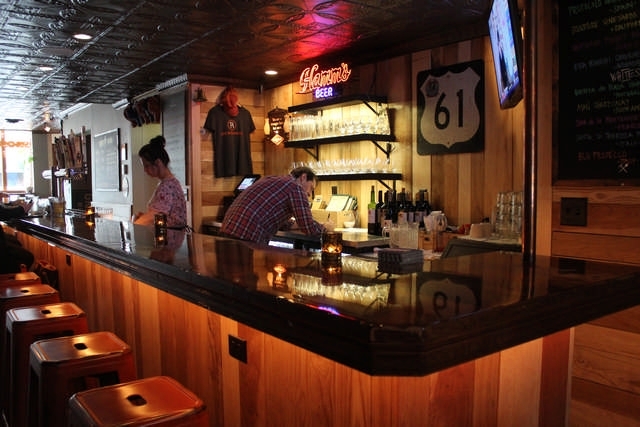 For anyone lucky enough to wander in for a couple beers and wings after work, Tom Forti’s Iron Ranger is much more than your average neighborhood pub. It’s also a culinary love letter to family, an iconic part of our state and its rich cultural tradition. I had the chance to explore this unique taste of the Range with a friend a few weeks back and to say I left full (of stomach and heart) is an understatement. If you like your Porketta sandwiches with a little bit of spicy Latin flair, then the Porketta Cubano is right up your alley. Like most pub menus, there’s plenty of the standard wings, curds and flatbread fare. Unlike most pub menus, however, Iron Ranger has a few signature items that warrant your immediate attention. Let’s start with the Iron Range nachos. In fact, let’s end with them, as well. Draped with handfuls of moist, tender Italian-spiced pork roast known on the Range as porketta, this epic pile of nachos quickly rose to the top of my appetizer favorites list. Dotted with house-made giardiniera and blanketed with handfuls of melted cheddar jack and mozzarella cheese, absolutely no one is walking away hungry after a helping or two. Or five. The Iron Ranger’s signature porketta that makes the nachos a winner is thankfully spread throughout the menu and makes an appearance on another unlikely appetizer. 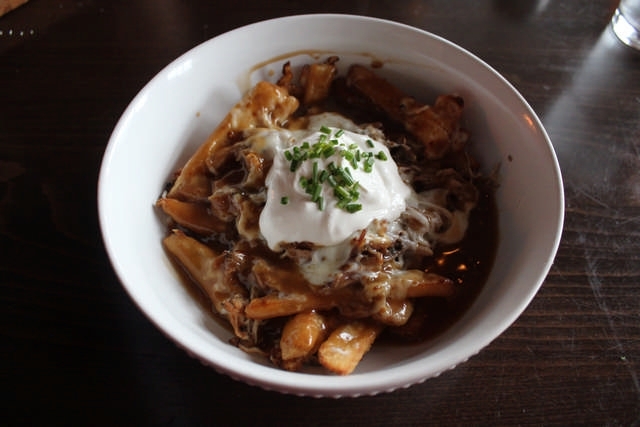 The poutine combines not only pork, but plenty of crispy french fries and mozzarella cheese, bathed in rich, velvety gravy. 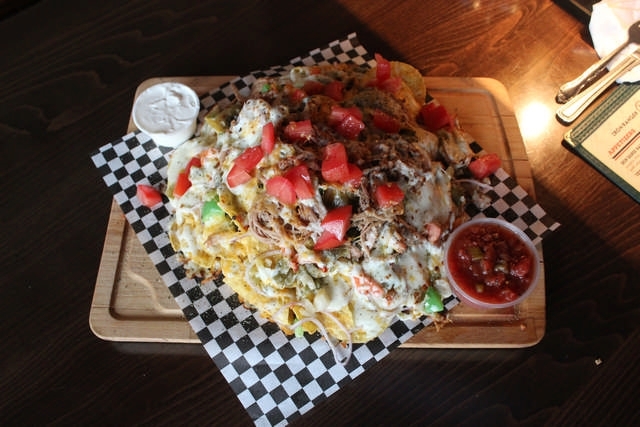 Do you like nachos, but want ALL the nachos? Then Iron Ranger has you covered. 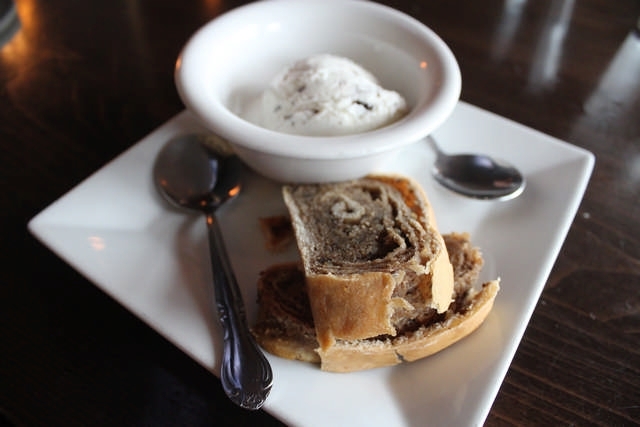 Calling home to the Forti family’s Italian heritage, the hand-rolled stromboli is another favorite. Layered with healthy helpings of ham, salami, capicola and plenty of cheese, this savory pillow of molten joy begs to be dunked in its accompanied hearty marinara. Iron Ranger’s up-north roots really began to shine under their From the Range offerings. Pasties might not be the first food that comes to mind on a Midwestern bar menu, but these flaky, meat-filled hand pies are a hearty treat whether you spent the day down the mine or down the street in a cube farm. Ranger’s Cornish pasty comes packed with plenty of rib-sticking beef, pork and root vegetables. classic is to die for. The only thing you’re likely to see less on a menu than pasties are, in fact, cabbage rolls. The Croatian comfort food commonly known as “sarma” are well known on the Range and more than just an ethnic staple. Rolled with beef, ham, pork and rice, sarma are topped with a tangy sauerkraut and tomato sauce. 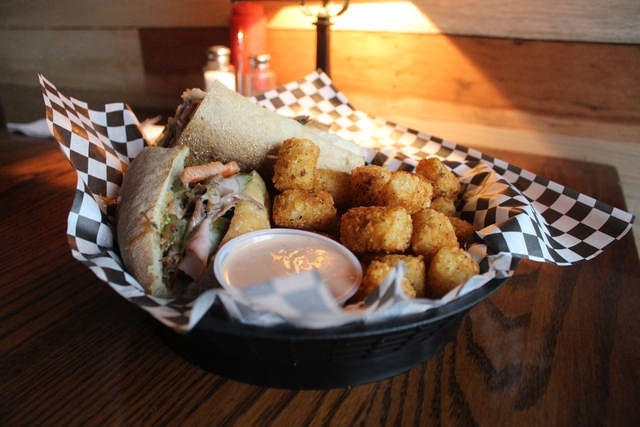 There are plenty of sandwiches to sate hefty appetites and one particular standout table favorite was an Italian-Cuban combo that deserves your full attention. The Porketta Cubano hits all the right notes with a rich combo of slow-cooked porketta, ham, swiss and pickles, topped with giardiniera on a crusty baguette. Finish up your Iron Ranger experience with a wonderous Walnut Potica. Even if you’re stuffed to the gills and the last thing on your mind is dessert, make sure to nab a slice or two of perennial Iron Range pastry classic potica. This buttery Slovenian sweet bread is filled with plenty of sugar, cinnamon and walnuts. It’s a melt-in-your-mouth treasure that comes with a scoop of equally decadent gelato. Don’t miss out. 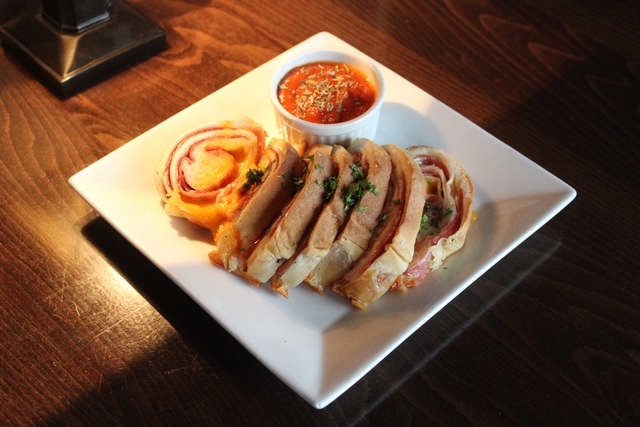 Iron Ranger’s slate of delicious appetizers includes the fantastic sliced stromboli plate. Speaking of missing out, if you’re not able to sample all the wonderfully unique menu items during your visit, fear not. Iron Ranger has a substantial to-go selection. Fancy a few extra sarma for the road? A potica for Sunday brunch? You can even bring home a hearty porketta roast for the entire family. Winner, winner, porketta for dinner. 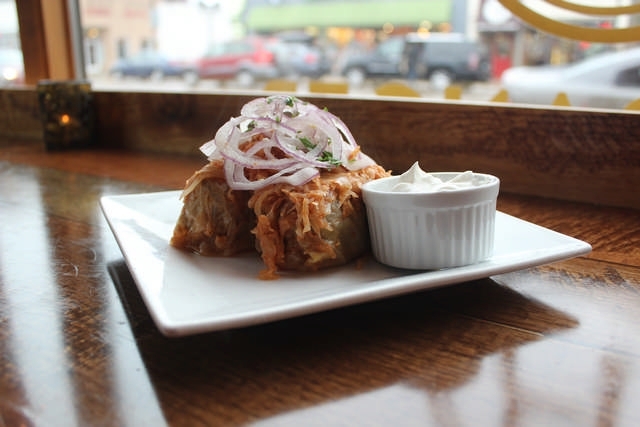 The sarma, also known as a Croatian cabbage roll, is an Iron Ranger staple. Whether you long for the nostalgic flavors of Minnesota’s Iron Range or you’re simply looking for a fun spot to hang out with friends over some quality eats, stop into Iron Ranger the next time you’re on Grand Avenue. The stories Tom Forti and his team are telling with food is worth listening to. And, of course, tasting.